WooCommerce is hugely popular in the ecommerce space, powering over 28% of all online stores globally. It’s even ahead of ecommerce solutions such as Shopify, which is a great ecommerce platform in its own right. Of course, a lot of its popularity is owed to the fact that it is absolutely free to download and use. 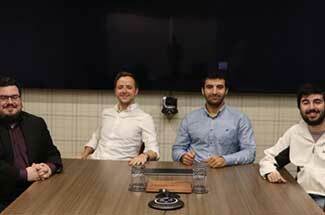 Plus, it’s also open-source which means it can be modified in any way to accommodate a store owner’s requirements. WooCommerce’s extensible nature has encouraged developers to come up with functionality-enhancing plugins for the platform. As such, there are hundreds of plugins available for WooCommerce which extend its functionality far beyond its core feature set. With the help of plugins, WooCommerce is able to compete head-to-head against accomplished competitors such as Magento, Shopify and BigCommerce. One challenge that new store developers / owners face is choosing the right plugins to integrate with their WooCommerce store. For example, there might be 5 different plugins that cater to a single desired functionality. In this post, we’ll be looking at different WooCommerce plugins – plugins which we consider essential, plugins which are best in a particular category, and useful plugins which you can get for free. Before we dive into WooCommerce plugins, let’s see how the platform stacks up against competitors when it comes to the number of plugins available. Let’s start off with must have WooCommerce plugins that you can get for free. These plugins add vital functionality to your ecommerce shop, which can be useful in generating more sales and customer interest. As such, there’s no reason your WooCommerce store should not have these plugins. WordPress shortcodes make the lives of developers and admins easy everywhere by allowing them to insert snippets of text into pages or posts. These snippets, or shortcodes, are actually calls to functions. WooCommerce comes with its own timesaving shortcodes as well. For example, inserting the [checkout] shortcode into a page will display the checkout section once the page is published. The WooCommerce Shortcodes plugin makes it easy to insert shortcodes into any WordPress / WooCommerce page. It places a simple drop down into the WordPress editor, which allows you to access all of WooCommerce’s shortcodes. This way, you don’t have to memorize or refer to documentation for the shortcode you’d like to use. One of the most important goals of any website’s SEO strategy is to have a healthy mailing list. Most websites simply put a generic subscription form and expect the emails to start coming through. In reality however, this doesn’t quite work. In order to create forms to convert, you need specialized tools, and OptinMonster is one of the best tools for the job. First off, this plugin is absolutely free to use. It allows you to create beautiful optin form designs which are sure to grab the visitor’s eye. These forms are optimized for high conversion rates, and there are several types of forms to choose from as well (lightbox popups, floating bars, sidebar slide-ins, welcome gates and many more). OptinMonster also helps you with visitors who simply choose to abandon their carts, using what its developers call Exit-Intent® technology. Basically, this detects the user’s behavior and prompts them with a targeted campaign when they’re about to leave. 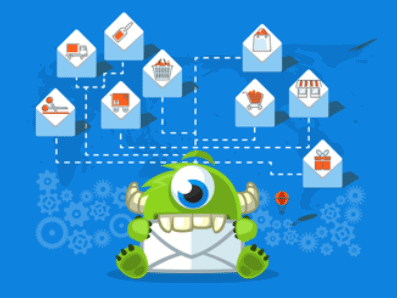 Definitely get OptinMonster if you’re interested in growing your email list and in turn growing your store’s sales. Want to maximize your store’s sales? Then you need a plugin that enables wishlist functionality on your store. The YITH WooCommerce Wishlist plugin allows your customers to save / add products that they like to a wish list which they can access later. Customers can also share their wishlist with friends and family, further increasing the potential of a sale. Wishlists can be extremely useful during holiday seasons, during which customers are making shopping lists and purchasing gifts. As a store owner, it’s in your best interests to provide your site’s visitors with the best user experience possible. One way in which you can enhance the user experience is by providing product quick views through the YITH WooCommerce Quick View plugin. This plugin enables visitors to quickly take a glance of important product details without actually navigating to the product page. 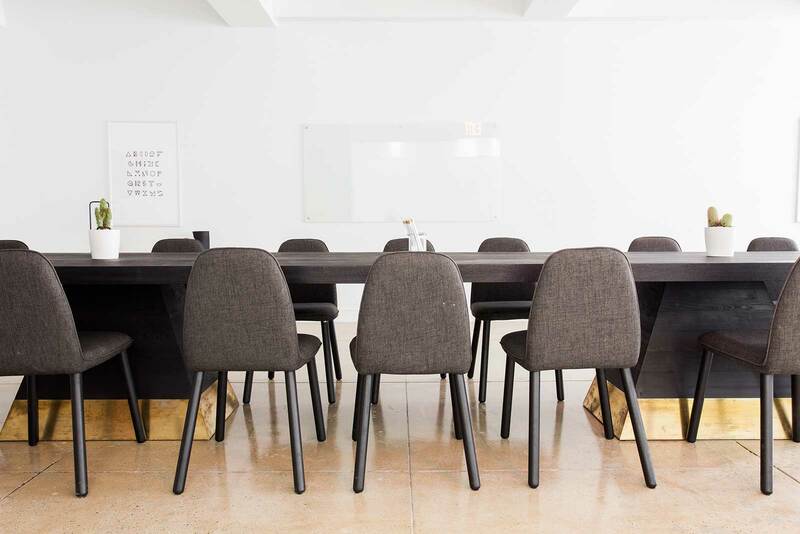 This benefits the customer in that they don’t have to look at each product individually, and benefits you because they don’t have to leave the product listings or shop page. The quick view even has a ‘Add to Cart’ button, so customers can add items to their cart conveniently as they’re browsing through the product listings. Continuing with plugins focused on enhancing the user experience of your ecommerce shop, here’s the YITH WooCommerce Ajax Search plugin. This plugin will enable your search bar to display relevant products instantly as the user starts typing. 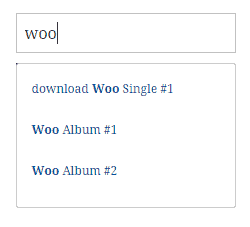 This plugin uses AJAX to fetch the search results without having the user press the search button, which in our opinion greatly enhances the user experience of your website. It means that there’s one less page between the user and the product they desire. Remember, speed is of absolute importance in ecommerce. If the user can’t find what they’re looking for quick enough, they’ll simply choose to leave your store. Plugins like this Ajax Search one are designed to encourage users to keep using your site by assisting them. A WooCommerce WordPress theme normally displays a cart link / button at the top-right portion of your website. If you’re unhappy with how this arrangement looks, or if your cart button is being obscured because of a color scheme issue, you can choose to display the cart button in the WordPress navigation menu with WooCommerce Menu Bar Cart. This plugin works with any WordPress theme, as it basically integrates a cart button to the default WordPress menu. As long as you’re using the default menu, this plugin will be able to do its job. Gift cards are a great way of boosting sales and attracting new customers to your store. The WooCommerce Gift Cards plugin allows you to add gift cards to your store. When you add a gift card to your store, you can manually set its pricing, and as such you can have multiple gift cards that are priced differently as well. A customer can purchase the gift card from your store and give it to whomever they want. The recipient then has to apply the gift card’s code at checkout, at which point the gift card’s value will be deducted from the total bill. A very useful plugin, and one which we highly recommend. If you want to shorten the length of your product pages, it’s always a good idea to group product information such as description, specifications and reviews into separate tabs. 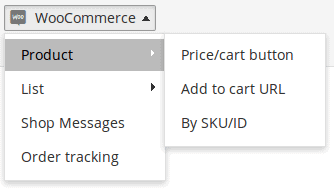 And that’s exactly what the Custom Product Tabs plugin for WooCommerce allows you to do. 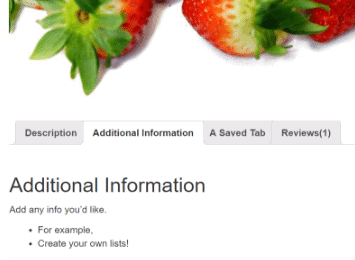 With this plugin, you can conveniently divide different sections of product information into tabs. You can create custom tabs according to your products, so the information is neatly organized according to the way you want. This plugin saves your visitors from the hassle of scrolling down for too long to find the information they need. If you’re using PayPal as the payment gateway for your online store, then you might want to consider having the PayPal checkout. Not only does it display relevant buttons on checkout to facilitate customers, but it also lends your store an image of trust, thanks to the recognizable PayPal logo. The real reason why we recommend PayPal Checkout is that it greatly simplifies the whole checkout process for your customers. With this plugin, customers can skip the online forms and complete their checkout in a few clicks (or taps), thus helping to boost your sales conversion and reducing cart abandonment. When a customer uses PayPal Checkout, their contact and shipping details are automatically fetched and passed onto your site so they do not have to fill any similar forms. 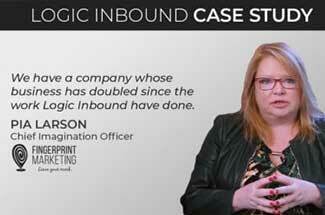 This means fewer steps for them to do, which in turn helps improve sales conversion. WooCommerce can be integrated with dozens of payment gateways, but Stripe provides its own WooCommerce plugin to make the whole integration process easier and simpler to manage. This way, you don’t have to constantly jump between multiple dashboards, figuring out which information to use for integration into WooCommerce. Let’s take a look at the premium WooCommerce plugins that we recommend ecommerce site owners to have. These will cost you money, but they will make up for that in increased sales revenue for your ecommerce business. If you want to offer a subscription-based product or service on your WooCommerce store, then simply go for the excellent Subscriptio plugin. At more than $40, it’s certainly not cheap. But then again, it offers functionality that isn’t present in WooCommerce, and is only a one-time investment. With Subscriptio, you get a full-featured subscriptions system to manage recurring payments for your services or products. Admins can also cancel any subscription anytime they want, and can disable this option for customers if it’s necessary. You can also setup free trials so your customers can try the service / product before they sign up for a subscription. If you want to sell products like magazines, memberships, elearning packages or any other subscription-based products, Subscriptio is our recommendation. If you’re in the business of selling customizable products, then you’re going to come across the product options feature. WooCommerce does offer the ability to add product options to products (such as size, color, material), but it’s fairly limited and cannot handle more complex products. If that isn’t enough, how about adding conditional logic to your product options. For example, if a certain material of a t-shirt is only available with a certain color, you can apply an IF logic to that color so that the material only shows when that color is selected. You certainly can’t do this with regular WooCommerce product options. For businesses who’re selling highly customizable products, WooCommerce Extra Product Options provides crucial functionality that cannot be missed. And at $19, it isn’t a bad deal either. If you’re gunning for an international customer base with your ecommerce store, you’re going to need to offer a way to switch currencies. That’s exactly what the WooCommerce Currency Switcher plugin allows you to do. For example, if you’re a hotel that’s frequented by tourists, providing prices in the customer’s native currency during booking can really facilitate the whole process. This plugin is available as a widget and can be placed in any ‘widgetized’ area. For flexibility, it is also offered as a shortcode, and the plugin comes with a currency converter widget as well. You also have the option of automatically switching to a visitor’s currency based on their IP address. This plugin costs $27, but if you’re content with dealing in just 2 currencies, it can be used for free. Editing products one by one can sometimes be frustrating, especially if there are lots of products that you need to make changes to. 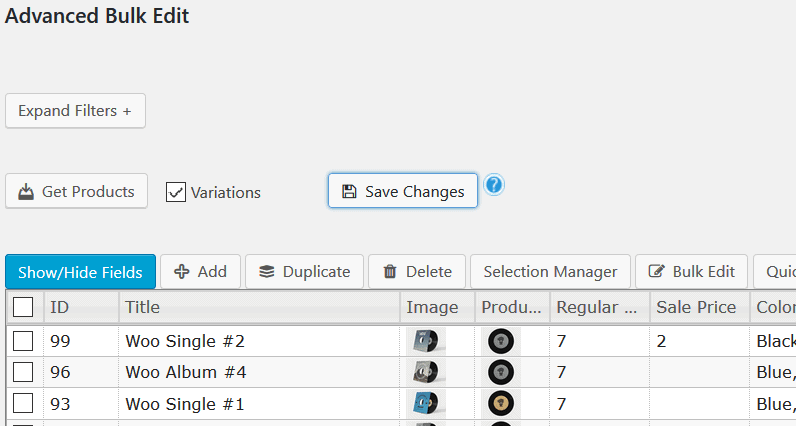 With the WooCommerce Advanced Bulk Edit plugin, this job is made a lot more convenient. Basically, this plugin loads all of your products into an editable spreadsheet, providing an easy way for you to make quick edits to the products. What’s more, you can filter the spreadsheet using various options such as SKUs, attributes, titles, stock quantities and so on. By filtering the products, only the products that you want to edit will be displayed, further facilitating the editing process. Oh, and you can also make changes on a ‘bulk’ level, saving you lots of time. There’s a lot that you can do with this plugin, and if you’re interested in trying it out, here’s a live demo that you can play with. 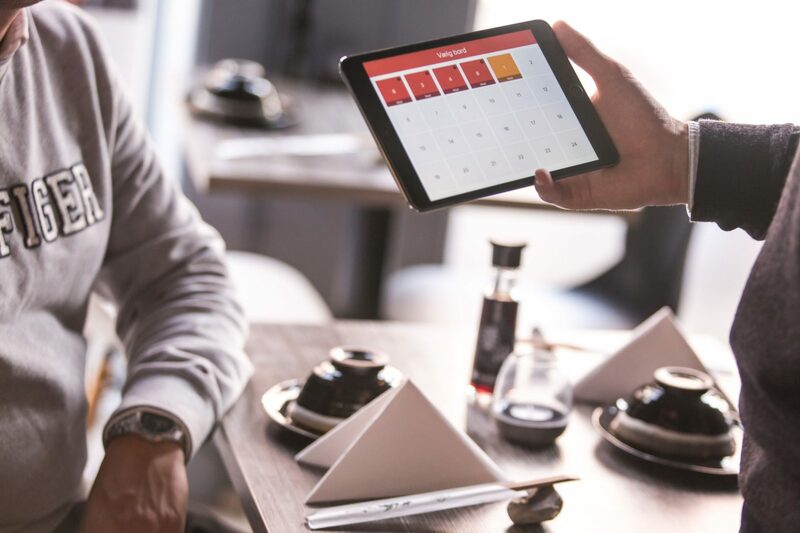 The WooCommerce Bookings is the plugin to have if you plan on offering date or time based bookings on your website. This plugin has been developed by WooCommerce themselves, so it’s impressively comprehensive in its functionality. If you’ve ever made a booking through Booking.com, then you’re going to be instantly familiar with the features offered by this plugin. With this plugin, you’re able to offer bookings that can be created for a customer-defined number of people (common in hotel room bookings). Also, you can offer discounts based on the number of people that are being booked. There’s also the option of creating bookings yourself, through an interface that mimics your front-end bookings system. This way, your customers can easily ask you to create reservations / bookings for them over phone or email. This is perhaps the only booking plugin you’ll ever need, so it comes at a hefty cost – $249 for a single site. 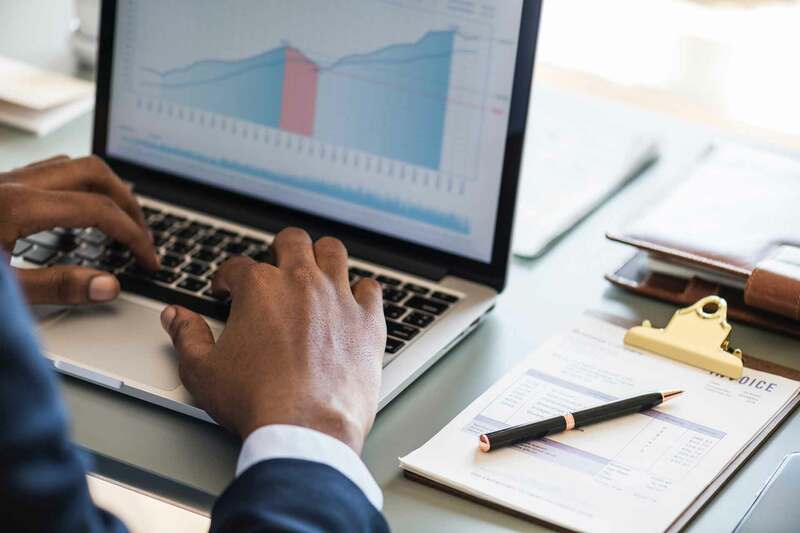 In order to facilitate the customer and not surprise them with unexpected shipping costs, it is imperative that every professional ecommerce store displays accurate shipping costs during checkout. There are several plugins available for WooCommerce that help with this, but none is as comprehensive as WooCommerce Advanced Shipping. With this plugin, store owners are able to display shipping prices to customer that change according to variables such as weight, zipcode, size, stock, and so on. 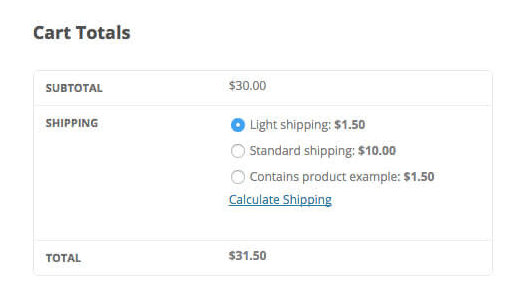 In fact, you can set whatever condition you’d like for shipping prices with this plugin. There’s even an option to apply conditional logic while calculating the shipping prices. 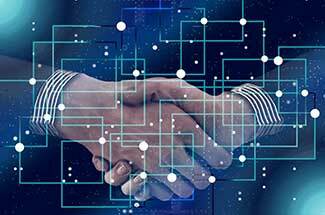 These sales tactics are used by ecommerce leaders such as Amazon, eBay and Zappos to maximize sales by promoting buyer confidence and trust. Product filtering can help make the user experience a lot better, as well as provide exposure to the various products on your store. 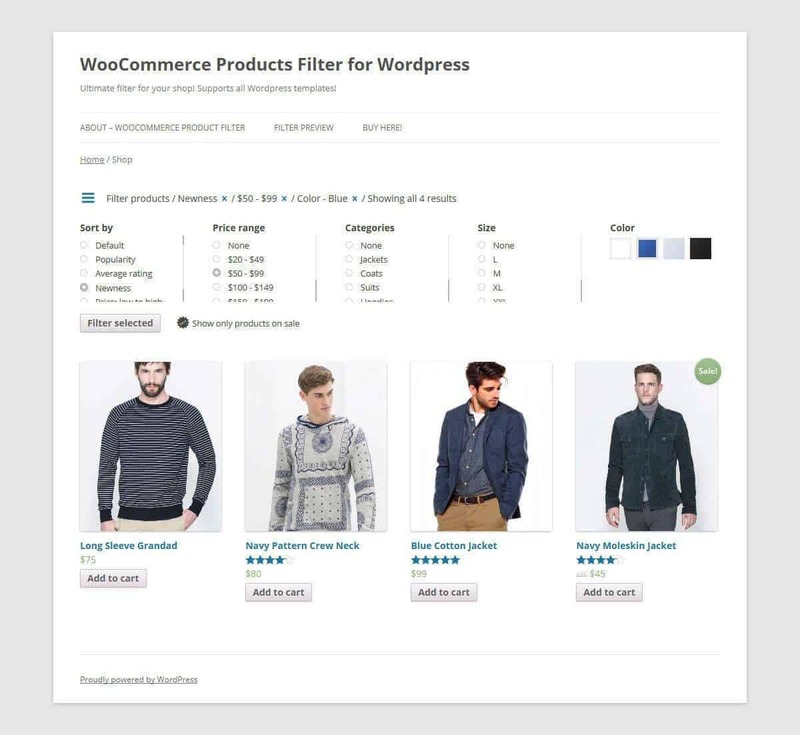 With the WooCommerce Product Filter plugin, users will be able to find products faster through search and advanced filtering with specific criteria. This extension is easy to set up and use, with a user-friendly admin interface and easy-to-understand configuration options. The filter widget is fully customizable, and you can choose different layouts and colors. Remember, product visibility is crucial, and this extension can help you achieve that. 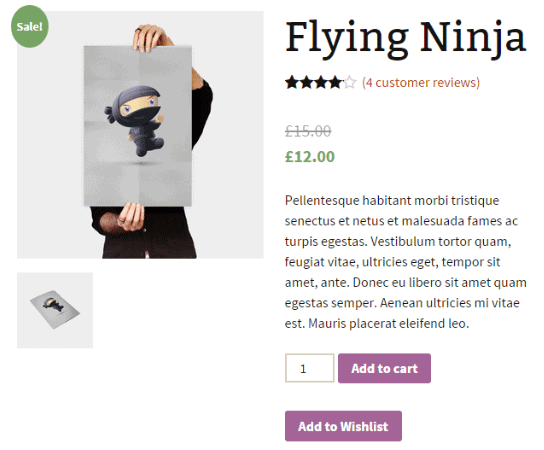 The default sales badges of WooCommerce are all well and good, but what if you want something a bit more attractive and eye-grabbing? 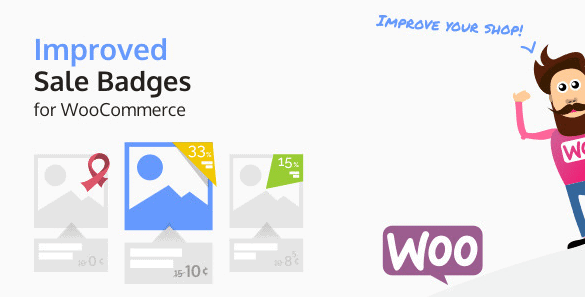 Improved Sales Badges for WooCommerce plugin provide well-designed sales badges (in SVG format for faster loading) that come in different colors and customizable styles. Badges can be set on a per-product badges, and you can set special badges for holidays. Every visual detail counts when it comes to convincing customers to buying through your store, so this plugin might be worth your while. Oh, if you’d like to create your own badges, the plugin allows for that as well. WooCommerce is undoubtedly one of the most popular ecommerce solutions available. The fact that it’s free and extendable adds massively to its appeal. There are thousands of WooCommerce plugins to choose from, which might be confusing for platform newcomers. Hopefully, with the WooCommerce plugins listed in this article you’ll be able to get a professional store up and running in no time. The premium plugins can certainly add to the upfront costs, but that is why we’ve listed lots of great free plugins as well. You don’t have to install all of the plugins from the get-go, rather, you should install them once the need for them arises. Do you know of a WooCommerce plugin that simply cannot be missed? Let us know in the comments below!